Nathan Adrian, you are the man. You swim much faster than others can. Don't care about them. I just love you. Your mom's Chinese. Your dad is white. You went to Cal. Your grades were tight. You swam in syrup for science's sake. You blew through the 100 like it was cake. Found out you won and were so cute! Olympic gold became your loot! Your winning smile brightens my day. So thrilled you're on Team USA. 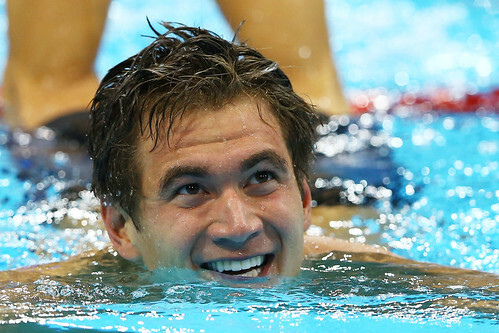 Congratulations, Nathan Adrian! Way to represent! Your most delicious post ever. Such an awesome post and he is too adorable. 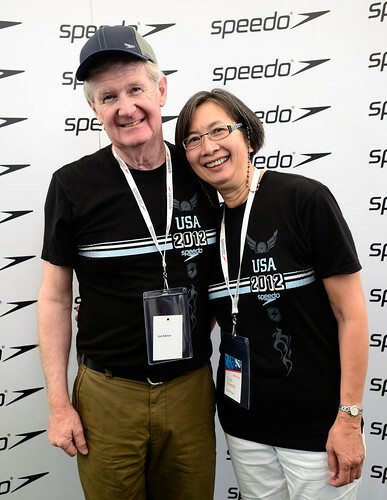 Hubby told me he's met a couple of times at NCAA swimming championships and he's a really nice guy. Very humble, willing take pics and sign autographs. LOL at Mythbusters guys were even amazed with his physique! Great to hear that he really is good-natured! You guys are easy to please. LOL. Yay for delurking for Nathan Adrian! He sure is powerful! That's a lot of love. I want to use him as a dinner plate. Well, I happen to appreciate his mind and personality. The fact that the dinner plate has a sharp mind *and* a winning personality should be reason enough for people get on the Nathan Adrian bandwagon three times over. How old is he? Wonder if we get to see him in Rio and have Ode #2 to look forward to. He is only 23! There is hope for a second ode! haha, i love this so much. he is so swoon worthy and so very adorable. Adorable is a great word for him. I didn't know who this guy was (having been watching the olympics much. I know, bad american) but that first pic-- dayum. I feel like I've enriched your life. i am amused that this post has more comments than most of the others i've been reading. No one can resist Nathan Adrian! But now... this may be my favorite post of yours eveeeeer.